We probably do not know all the Pools in Finland. Are you missing any? Contact us!. Regular users in the following Finland Pools told us essentially the most critical thing about swimming is to control your breathing. At times this is not achievable because we raise the neck to breathe and also the body is not aligned. To avoid this, our head needs to be aligned with our spine all the time. Not all countries would be the identical, and swimming rules and regulations are changing from one country to the other. So, if this is your very first time looking for Finland Pools, make sure you call the premises just before you drop by. Swimia.com demands your feedback on Aquagym in Finland to ensure all the data about swimming in Finland is valid. Traveling to Finland? This is the perfect spot on the internet to discover places to swim in Finland. Each day you will be not swimming you might be losing precious time in improving your skills to be a greater swimmer! No a lot more excuses! 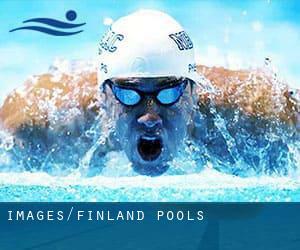 Uncover your nearest Finland Swimming Pool and tell us how it went. For Finland and its vicinity, we're showing you all the registered pools, a few of them have no GPS coordinates and can't be found on the map at the map. Enjoy the best indoor pools in Finland and don't worry about the weather. These facilities are open all seasons and you can enjoy a swim at the same temperature every day of the year. There are quite a few reasons why you ought to choose a heated swimming pool in Finland. Essentially the most important a single relies on the importance of keeping the body temperature stable. If the water is as well cold, your body will try to warm it up and you will lose strength to swim properly. There are a lot of alternative treatments to chlorination, with excellent advantages that make sure much better water quality in the pool. A single possibility is the mineralizer, which purifies water naturally and significantly decreases the chemical substances employed and maintenance time. Try Chlorine Free pools in Finland. Whereas Lahti is among the six most populous cities in Finland with nearly 98.826 residents, you shouldn't miss that one if you're going to Finland. Holding an estimated population of 175.945, Turku is one of the most important cities in Finland. Check all the Swimming Pool in Turku and its surrounding area. Swimming is a excellent idea to keep your body active during your visit to Vantaa (Finland), or perhaps in case you are a local. Swimia assists you to find your closest Swimming Pool in Vantaa. Let us tell you a secret to switch off even though you might be in Kuopio: just decide on a Swimming Pool in Kuopio and plunge into the water! There's no even more beneficial method. Without a shadow of a doubt, swimming in Oulu is the most beneficial way to unwind after perform. 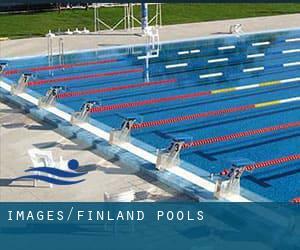 Take a couple of minutes to browse Swimia's catalog to find a Swimming Pool in Oulu. Let us let you know a secret to switch off while you are in Espoo: just pick a Swimming Pool in Espoo and plunge into the water! There's no additional successful method. It's difficult to visit Finland without dropping by Tampere (with 202.687 residents). Currently Swimia is showing you all the Swimming Pool in Tampere as well as the closest pools located in its vicinity. Updated on 2019 Karhulantie 46 , Kotka (Postal Code: 48100). This sports center delivers 25 meters x 12.5 meters, 1.2 meters - 3.8 meters depth, 1.2 meters - 3.8 meters depth, Indoors. For this Swimming Pool, only phone number is number here. Hovintie 224 , Anttola (Postal Code: 52100). Among all the activities supplied by the center, if you are interested in swimming you might take pleasure in 17 meters, 3 lanes, Indoors. Just in case you want to contact this Swimming Pool before dropping by, we only know the phone number. Pihkalantie 3 , Vierumaki (Postal Code: 19120). This sports center gives 25 meters x 10 meters, 5 lanes, 1.3 meters - 3 meters depth, 1.3 meters - 3 meters depth, Indoors. For this Swimming Pool, only phone number is number here. Kotipolku 2 , Imatra (Postal Code: 55120). Among all the activities supplied by the center, if you are interested in swimming you will take pleasure in 25 meters, 5 lanes, 1.3 meters - 1.8 meters depth, 1.3 meters - 1.8 meters depth, Indoors. Just in case you need to contact this Swimming Pool before dropping by, we only know the phone number. Apiankatu 7 , Valkeakoski (Postal Code: 37600). This sports center offers 25 meters x 12.5 meters, 5 lanes, 1.2 meters - 2.4 meters depth, 1.2 meters - 2.4 meters depth, Indoors. Contact information and facts for this Swimming Pool including phone number and email address are number. Mäkeläntie 10 , Muurame (Postal Code: 40950). This sports center offers 25 meters x 8 meters, 4 lanes, Indoors. For this Pool, only phone number is number here. Uimarintie 2 , Hameenlinna (Postal Code: 13100). Swimmers like you have reported 25 meters x 18 meters, 1.2 meters - 2 meters depth, 1.2 meters - 2 meters depth, Indoors. Also, you will find 25 meters x 13 meters, 1.1 meters - 1.4 meters depth, 1.1 meters - 1.4 meters depth, Indoors. Just in case you want to contact this Swimming Pool before dropping by, we only know the phone number. Asematie 26 / Stationsvägen 26 , Kauniainen (Grankulla) (Postal Code: 02700). This sports center offers 25 meters x 12.5 meters, 1.2 meters - 3.8 meters depth, 1.2 meters - 3.8 meters depth, Indoors. For this Swimming Pool, only phone number is number here. Kannuksen vapaa-aikakeskus , Liikuntatie 2 , Kannus (Postal Code: 69100). Among all the activities provided by the center, should you be considering swimming you may take pleasure in 25 meters x 8 meters, 2 meters maximum depth, 2 meters maximum depth, Indoors. Just in case you need to contact this Swimming Pool before dropping by, we only know the phone number. Updated on 2019 Puistotie 9-11 , Kotka (Postal Code: 48100). Among all the activities offered by the center, if you are interested in swimming you are going to enjoy 25 meters, 6 lanes, 1.4 meters - 4.8 meters depth, 1.4 meters - 4.8 meters depth, Indoors. Just in case you desire to make contact with this Swimming Pool just before dropping by, we only know the phone number. Koulukatu 4 , Suonenjoki (Postal Code: 77600). This sports center offers 25 meters x 10 meters, 5 lanes, 1.2 meters - 2.1 meters depth, 1.2 meters - 2.1 meters depth, Indoors. For this Swimming Pool, only phone number is number here. Urheilutie 11 , Laitila (Postal Code: 23800). Among all the activities offered by the center, in case you are interested in swimming you can expect to appreciate 25 meters x 9 meters, 4 lanes, 1.2 meters - 2 meters depth, 1.2 meters - 2 meters depth, Indoors. Just in case you want to get in touch with this Swimming Pool just before dropping by, we only know the phone number. Opintie 8 , Orimattila (Postal Code: 16300). This sports center offers 25 meters x 10 meters, 1.2 meters - 2 meters depth, 1.2 meters - 2 meters depth, Indoors. For this Pool, only phone number is number here. Hannes Kolehmaisen katu 3 , Kuopio (Postal Code: 70110). Swimmers like you reported Olympic size x 20 meters, Indoors. Phone number and e-mail address are number for this Swimming Pool. Myyrmäenraitti 4 , Vantaa (Postal Code: 01600). Among all the activities supplied by the center, if you are interested in swimming you will take pleasure in 25 meters x 20 meters, 8 lanes, 1 meters - 2 meters depth, 1 meters - 2 meters depth, Indoors. Just in case you need to contact this Swimming Pool before dropping by, we only know the phone number.